Windsor (United Kingdom) (AFP) - Prince Harry and Meghan Markle tied the knot at Windsor Castle on Saturday in a royal wedding like no other, mixing British pomp and African-American culture in front of a celebrity congregation and cheering crowds. The new Duke and Duchess of Sussex exchanged vows in St. George's Chapel in a historic ceremony, sealed with a kiss, which brought the biracial US TV star into the heart of the British monarchy. 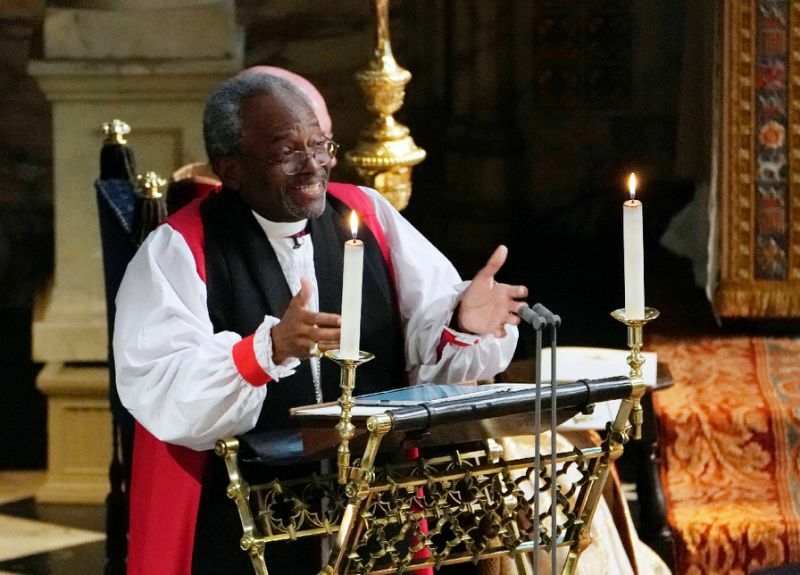 Firebrand US pastor Michael Curry delivered a full-throttle address invoking slaves and the power of love, and a gospel choir sang classics "Stand By Me" and "This Little Light of Mine". 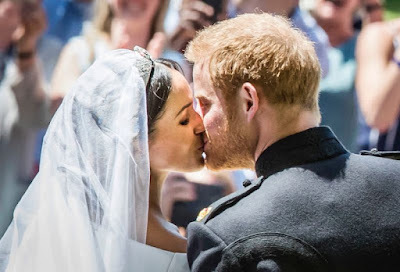 With the words "I will", 33-year-old Harry, and US former actress Meghan, 36, declared they would love, comfort, honour and protect each other. 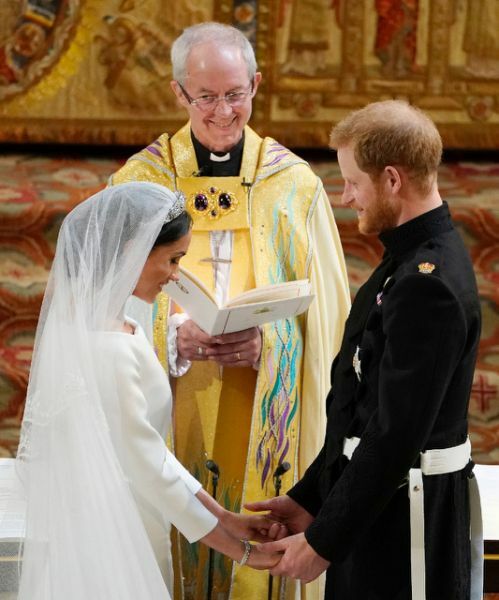 Archbishop of Canterbury Justin Welby declared them husband and wife -- sparking huge cheers from crowds outside the church, watching on big screens. The bride's father Thomas Markle also followed the wedding on television and voiced regret he was unable to attend, TMZ reported. "My baby looks beautiful and she looks very happy. I wish I were there," he told the US celebrity news website. 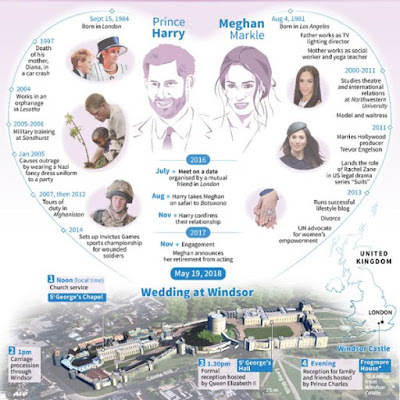 Harry hand-picked flowers for Markle's bouquet from their home at Kensington Palace. 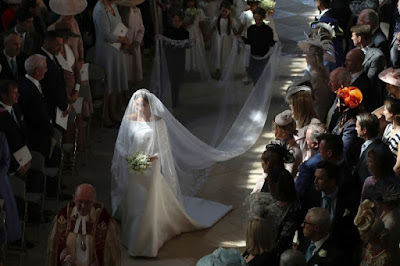 The groom and his brother Prince William -- his best man -- wore the blue doeskin frockcoat uniform of a major in the Blues and Royals, the regiment Harry served with in Afghanistan during his 10 years in the British army. 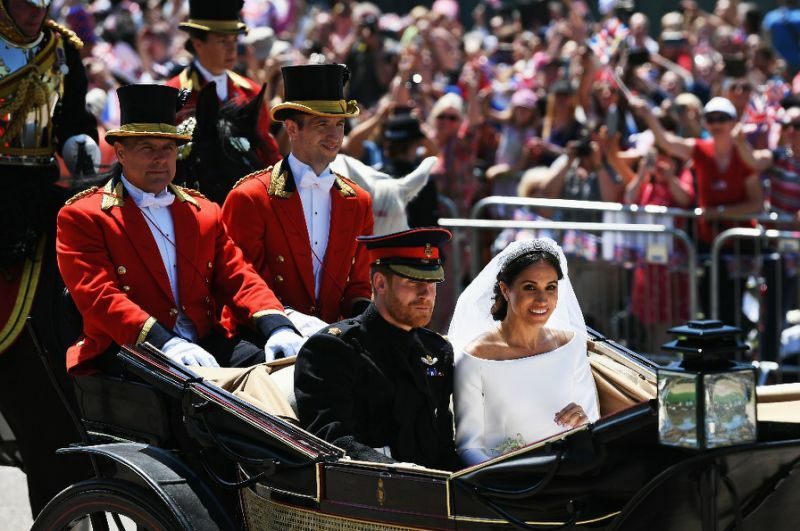 Some of Markle's former co-stars in US hit television series "Suits" attended, as did Harry's ex-girlfriends Chelsy Davy and Cressida Bonas. The newlyweds kissed on the chapel's West Steps after the wedding, before going on a carriage procession ride through Windsor where flag-waving well-wishers cheered them on in a carnival atmosphere. The queen hosted a lunchtime reception at the castle, where Elton John performed to guests eating canapes including Scottish langoustines, English asparagus and Windsor lamb. The royal couple cut the lemon and elderflower cake, while Charles and Harry made speeches introduced by William. Harry later drive his bride to the evening reception for 200 friends and family in an open-top E-Type Jaguar with the number plate E190518 -- the wedding date. 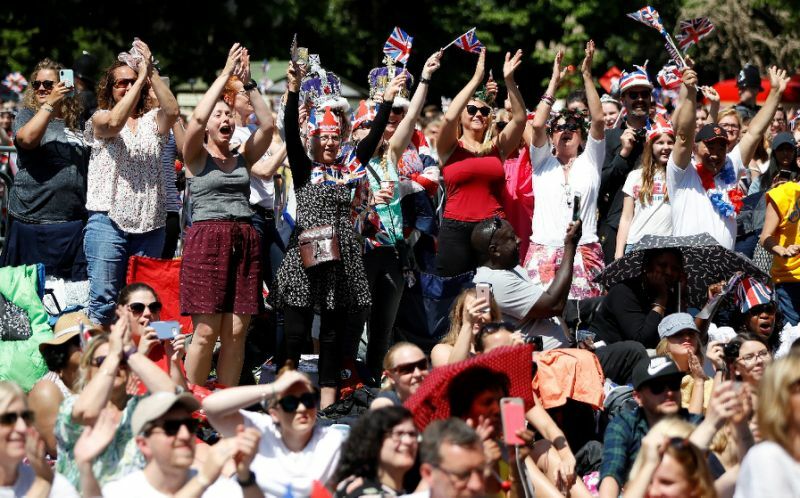 In another break with convention, Meghan was due to speak at the Frogmore House bash. #RoyalWedding Time to party and Harry's driving.